A lively and inspiring place for children, a new heart for the school. 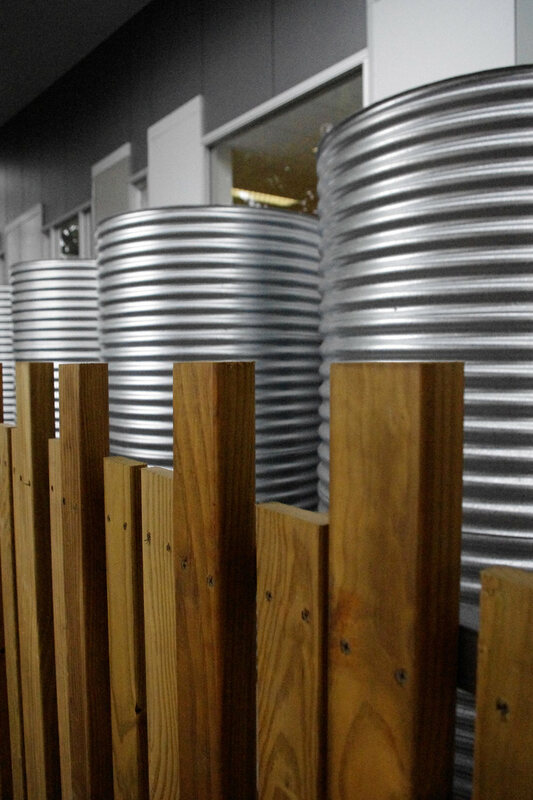 The new Resource Centre at Trinity Gardens Primary School has transformed a previously disconnected part of the grounds into a new heart for the school – a transformation made possible by the BER program. The new building expresses optimism and enthusiasm through it’s materiality, colour and form - celebrating the diversity found in this unique school. This is not a stand-alone building. It is hard to photograph and hard to encapsulate. It pulls together fragments - literally the brick fragments of the previous Resource Centre and the ad-hoc surrounding buildings. It sits on a bumpy and sporadic timeline of public development. From these limits, the building has reached well beyond the challenges of a BER project in a public school. 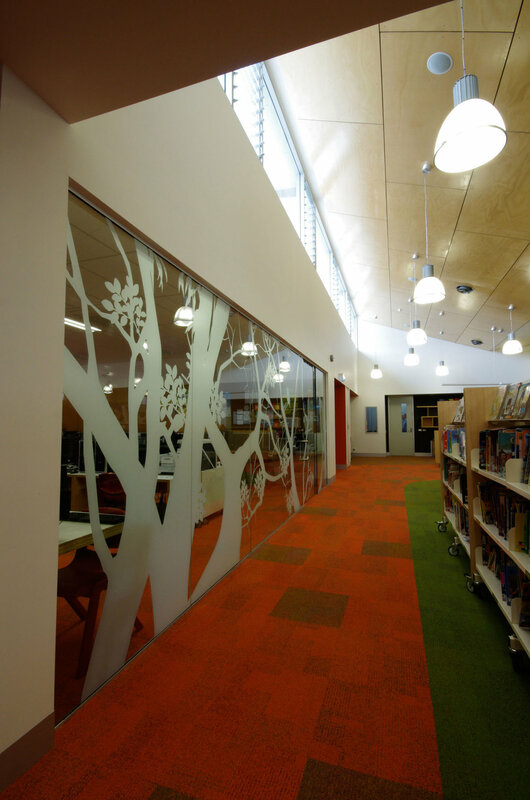 KHAB’s brief was to provide an accessible Library and series of associated learning and staff spaces, for a rapidly growing school - a unique school which hosts two learning streams - Main stream and Steiner stream, a Special Needs unit for children with disabilities, an Early Learning Centre and a high number of children from non-English speaking backgrounds. Our brief was forced into a site footprint and a vacuum left by the lack of master –planning. There have been years of piecemeal development on the campus. 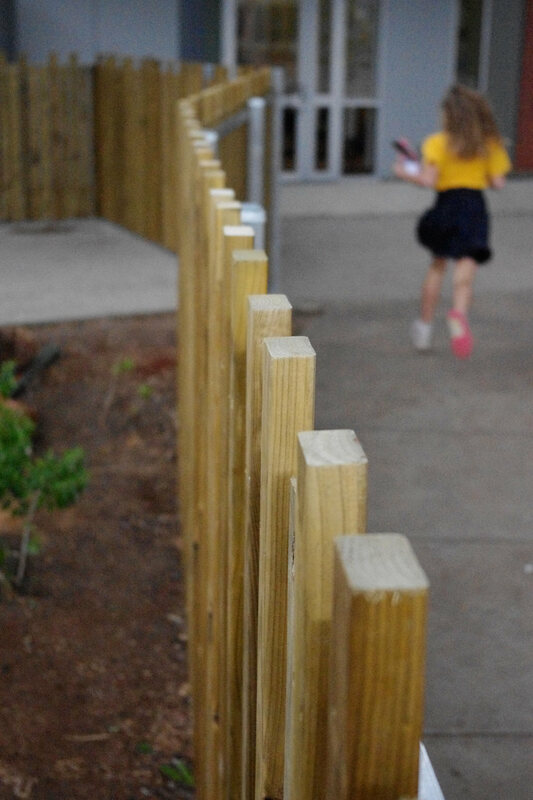 The opportunity was to use the building and external spaces not only to inspire children, but to bring cohesion into the built environment at the centre of the school. 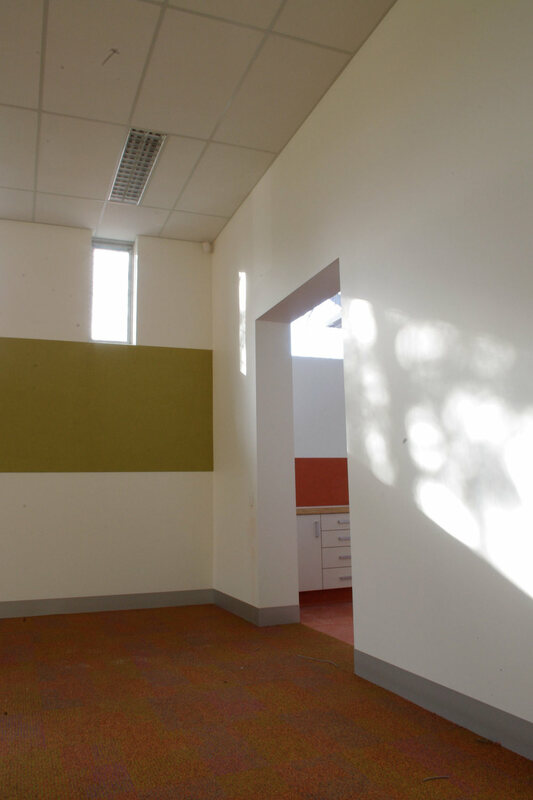 The design optimises the limited space available, and stitches the fragments of the school. The surrounding verandahs are dynamic and lively and are about opening – reaching out and stitching in. They connect and include. The building exerts confidence balanced by the scale and whimsy of the children who use it. Sustainability is seen through both climatic response, and through long-term use and adaptation. Remnants of the previous building are incorporated. The building collects it’s water into 8 tanks for use in toilets and for the adjacent kitchen garden, and natural light fills the internal spaces. Atypically for public school buildings, louvres are used for genuine cross ventilation, and the building is clad with insulated wall panels. The deep verandahs shade and offer generous outdoor space. 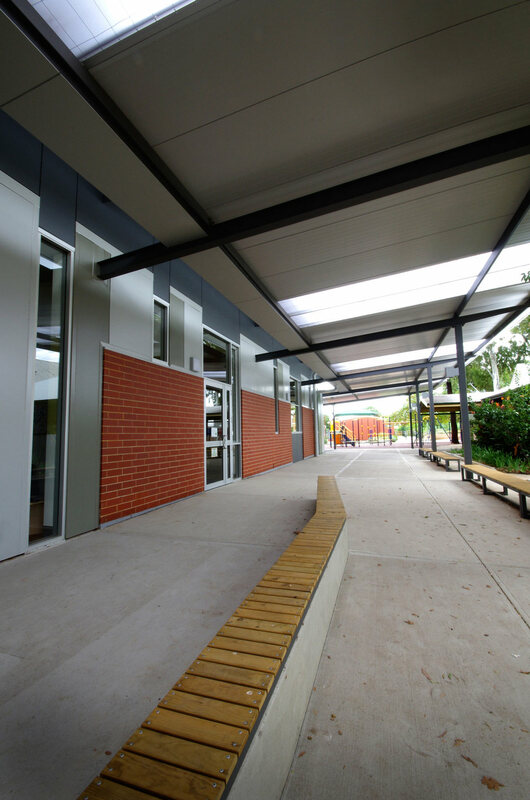 Under these verandahs school life happens – activated, protected spaces that overlap with a difficult and existing flood path that skirts the building. What is the lid we put on learning?